There is another thread for the contingent that wishes to debate and discuss linens as a primary subject, including related presentation issues: Linens / presentation debate for meal service on AA, US / both. PLEASE: DO NOT POST OVERSIZED IMAGES; PLEASE DO NOT QUOTE AND REPEAT IMAGES IN YOUR QUOTED POST. Welcome to the 2019 version of the combined AA meals thread, focusing on domestic service. Please post your meal/service experiences, including menus, photos, reports, questions, and service anecdotes. To help give us a clear picture of your experience, remember to include the route, time, and meal designation (breakfast, lunch, dinner, snack, refreshments, none). Photos are welcome and very helpful. Those are rudimentary guidelines, but of course, the format/style is up to you. This is a format you can use when introducing your meal report. This is just a sample format; deviations are expected. For the 2019 International Meals thread, click here. 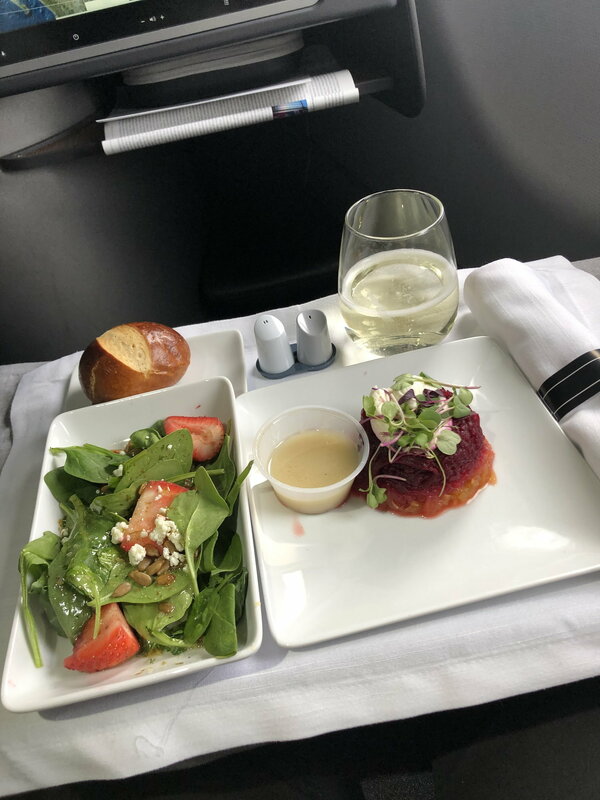 Welcome to the 2019 Domestic Dining thread and the resulting discussion/trip reports/photos/shared experiences. Here, in this wiki post, I'll strive to explain what you should expect on AA flights in First and Business, meals-wise. Keep in mind that there are many domestic flights, so there are quite a few parameters to keep track of. Basically, in its best condensed form, you should expect to receive a meal between 4:59am - 8pm on flights longer than 900 miles, which equals about two hours in the air. From that point, there are exceptions, and specific timing parameters. Keep in mind that this list is not entirely inclusive, and there may be certain exceptions and/or abnormalities. American Eagle flights do not offer pre-ordering of meals. 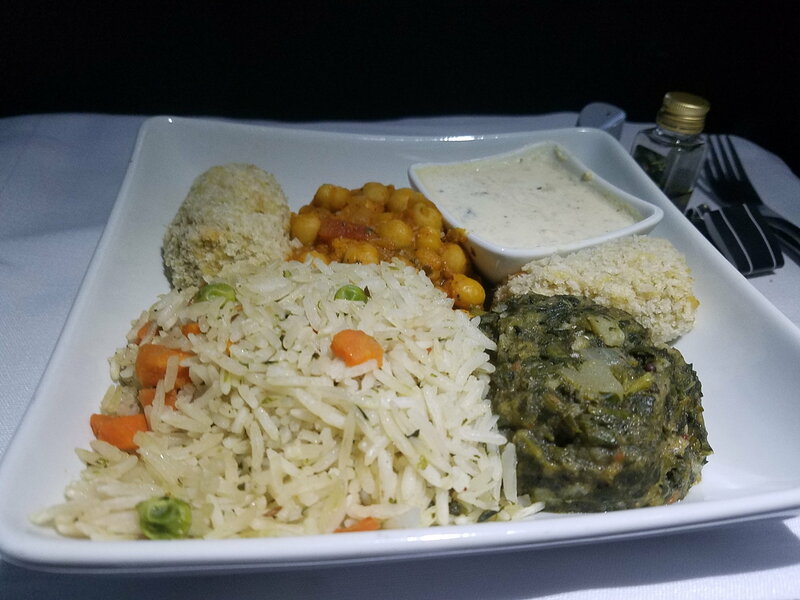 All of the meal flights that fall under the above timing parameters will receive two choices; normally, one meat and one vegetarian. Longer westbound flights leaving from the east coast (transcontinental; non-premium) are not officially exceptions, but some flights after 8pm receive a full dinner service (such as the 8:05pm MIA-SAN flight, or the 8:30pm PHL-LAS flight). Additionally, non-premium transcontinental red-eye flights will receive snack basket service upon departure, then a continental breakfast box prior to arrival. The following flights all fall under 900 miles, but will receive a full meal service, with the exception of flights leaving between 1:31-4pm. Despite some of the listed flights being over 900 miles, they are remaining listed here, based on the AA website for documentation purposes. 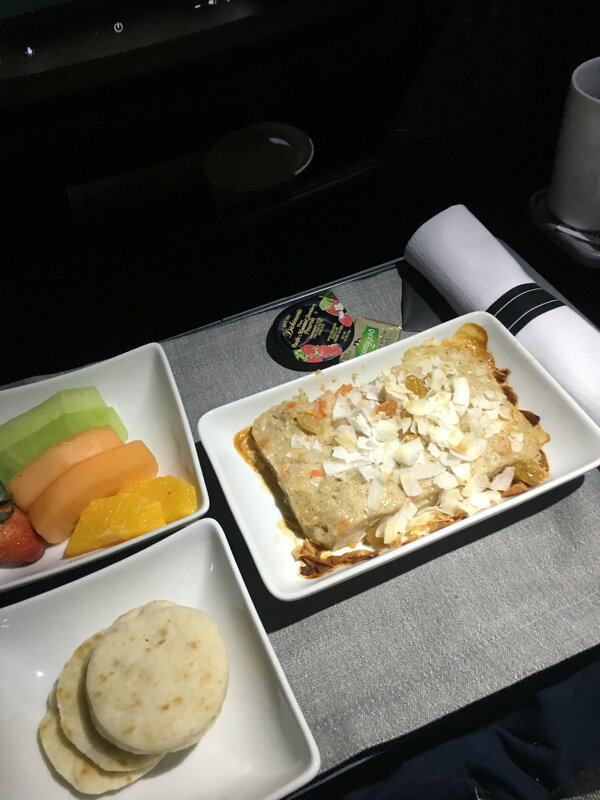 JFK-LAX/SFO; MIA-LAX are considered premium transcontinental flights, and as such, receives a more refined service with three meal choices, per-course service, printed menus, and tray/tablecloth linens in both F/J. 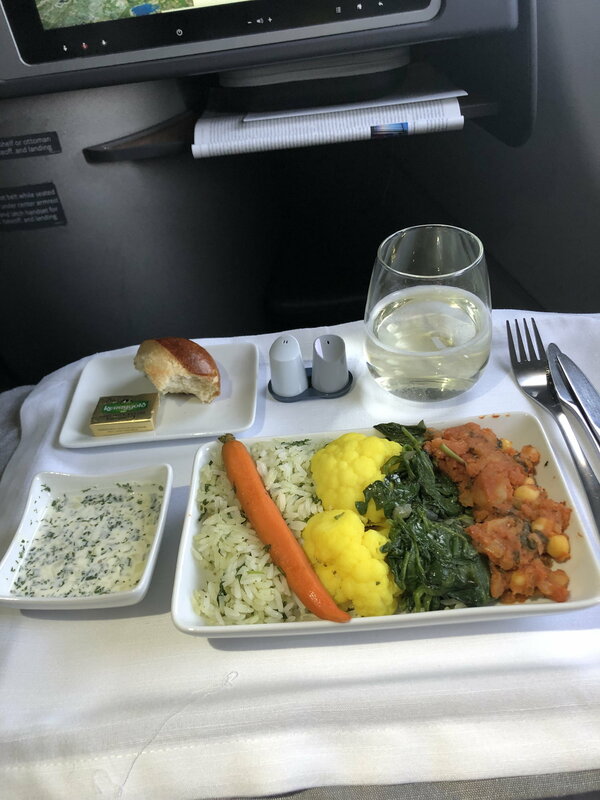 Those flights now are the only domestic flights in the system to offer special meals as another option (which can be reserved by either preordering online, or calling). Red-eye flights will receive a full "supper/snack" meal service, which is basically a condensed dinner service. Hawaiian meal service is very similar to what you'd expect on 2200+ mile flights, but there also will be Hawaiian rolls served, along with a pre-arrival continental breakfast/snack (dependent on the length of the route). Tropical warmed nuts are also currently served. All flights over 700 miles, regardless of a meal being served or not, will receive warm mixed nuts and a cookie. At this time, pre-ordered meals are not available on American Eagle flights. Disclaimer: The editor of this Wiki does not guarantee the information presented above will always be accurate or properly followed by AA, given catering mishaps, irregular operations, rogue crews, or mismanagement. For the best up-to-date information, it would be prudent to check AA's website constantly for any updates, or call AA. The editors of this Wiki will keep this Wiki updated as often as possible. Thanks to MrAndy1369 for starting the thread and for the guidelines. Booked in J on MIA to FDF and return for flights in May, itinerary shows lunch/dinner. My online reservation isn't showing a meal selection option. I'm guessing it's because these flights are operated by Republic on Embraer 175 RJs? If it's in May, it's too far out. Pre-orders can only be done for flights within 30 days. Correct, you'll have two options of a smaller meal, usually something like a wrap or a salad... but could be something as seemingly good/hearty as the "Italian Sandwich" posted above. No ovens on AA's E175s, so it will be a cold meal (and room temp nuts), but it's a very comfortable ride up front. Anyone had any of these? I am leaning towards ordering the AVML but I wonder whether it will be the same thing as the Chickpea Masala! I figure there's no harm in finding out (I wouldn't be upset if it is the same, and there's a chance it could be different or better?) -- but this is the first time I've seen something that looks like an AVML as one of the "normal" options for preorder. I'm also thinking of abandoning all that and just giving the beef & potatoes another try but I really don't like overcooked airplane beef. The oatmeal is exactly what you think it is - oatmeal. They give some milk, brown sugar, and (maybe) some dried fruit blend to put on top. Literally, that is all. So nothing fancy, got it. Thanks! 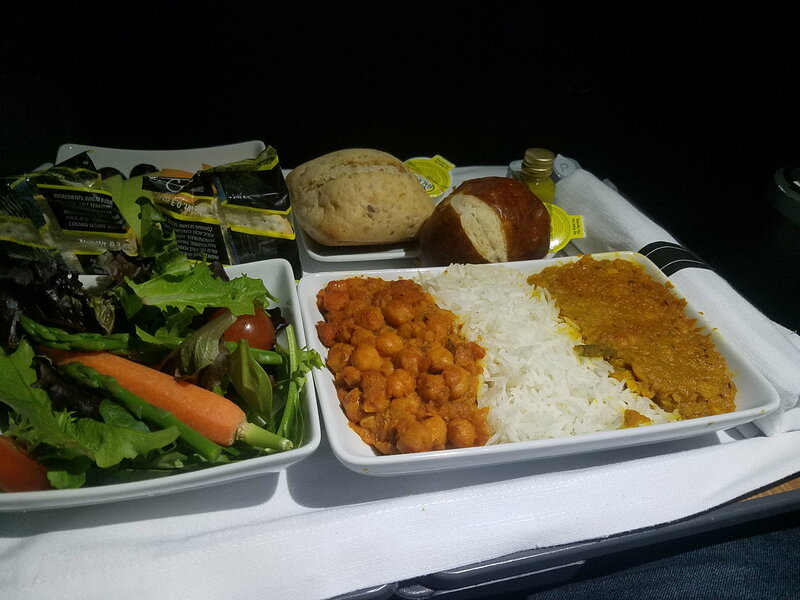 I had the Chickpea Masala earlier this week JFK-LAX in J. Delicious; one of the better domestic meals I’ve had. Only complaint is that I wish it had more spice. Starters were good, too. FlightNurse and AAEmpireState like this. I said the same thing when I saw the photo. Posting from onboard JFK-SFO. Others who had the chickpea masala got a dish that looks like AAEmpireState's but got the regular appetizer and salad. I stuck with AVML and got the "enhanced" appetizer and salad. (The appetizer was chickpeas, cucumbers, and yogurt sauce. The salad had asparaagus, whole carrot, and tomatoes in addition to the greens.) 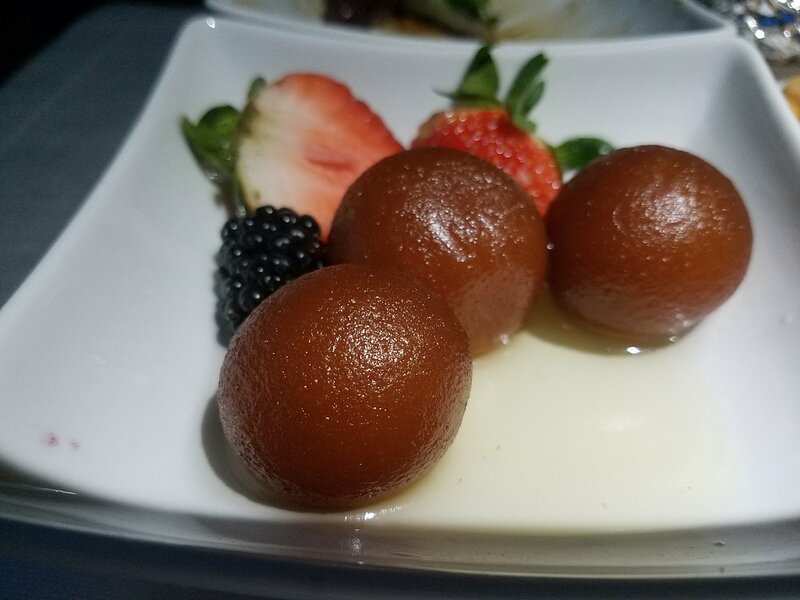 I also had a gulab jamin dessert plated with the salad and app. Anyhow, long story short very satisfied with the AVML -- quality was the usual above-average. Gruyere omelet from LAS to DFW. The "usual" (reasonably spicy) chickpeas on the left, with yellow dal (lentils) on the right. Could have used some yogurt but still plenty good enough. "Request your first choice on your flight. You can reserve a meal beginning 30 days (and up to 24 hours) before your flight. Available within 30 days of departure"
I see the same for my E175 flights. No option to pre-select a meal. Pre-order is not available on Eagle flights. VaBeachGirl and GFrye like this. I think this was dalia and some dosa. Really enjoyed the taste of the meal and the coconut shavings and yellow raisins were a nice addition. IME, the AVML remains the best choice of AA's offerings. Service: No PDB and service started off a bit slow, which always surprises me given that ORD to BOS is only around 1.45 hrs. Single FA worked the A321 cabin, but she was friendly and hit all of the in flight service elements: hot towel, beverage, meal service, refills, mints. Maybe this should be put in the Wiki since may people still ask this same question. All times are GMT -6. The time now is 4:53 am.